Recognizing that a great morning begins with a wholesome breakfast, McDonald’s will be serving a free cup of Premium Roast Coffee and a Sausage Burrito to 500 commuters at Campus Martius from 7 – 10 a.m. on Tuesday, Feb. 26, 2013. 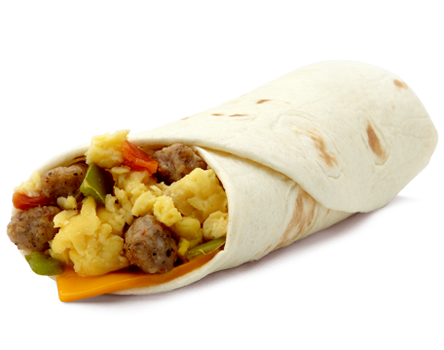 The Sausage Burrito is made with peppers,onions, fluffy scrambled eggs, sausage and melty cheese all wrapped in a soft tortilla. It is only 300 calories and provides 12 grams ofprotein. The free breakfast offer is valid while supplies last, no purchase necessary. During the week of February 25th - March 3rd, everyone in Southeast Michigan can stop by their local McDonald’s for a FREE Premium Roast Coffee - no purchase necessary. Made with 100 percent Arabica beans for a rich, bold taste. McDonald's Premium Roast Coffee is freshly brewed every30 minutes. 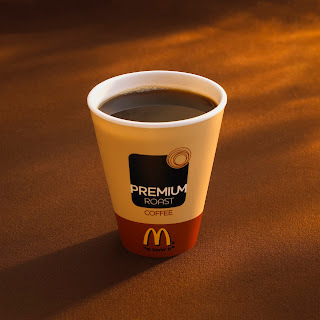 As an added convenience, McDonald’s will add the cream and sugar, upon customer request, to customize each cup of coffee, made specifically to each customer’s personal taste.